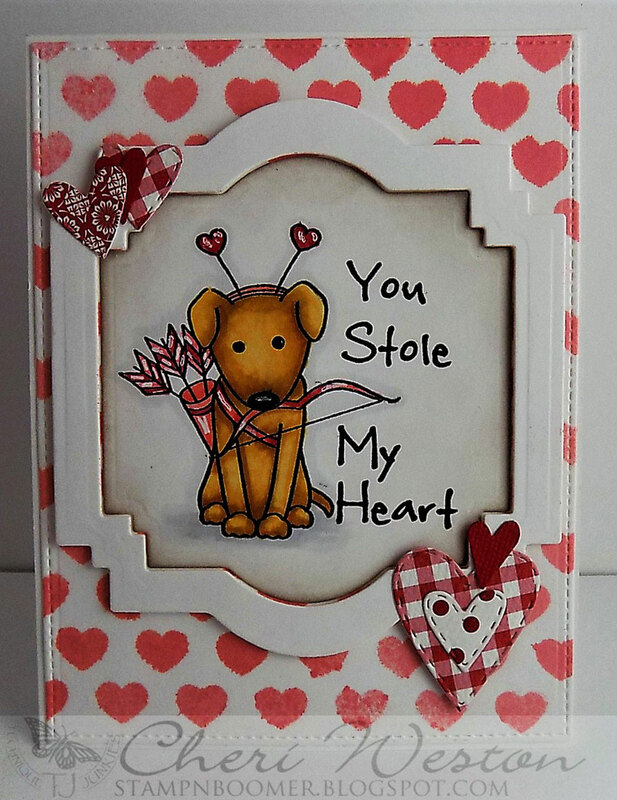 This new stamp "You Stole My Heart" from the January 2019 new release is cuteness overload and what an adorable Valentine greeting it makes for any age! I swear each month's new release of stamps is so loaded with creative possibilities that it makes me want them all. You too? I get giddy thinking of all the happy cards I could make with them. But, it's not just the new ones....there are so many fabulous older stamps in the TJ Store too, as well as TJ's own Shimmering Bliss sprays (I used "Festive Flamingo" sprayed through a stencil for the background on my card below) and lots of other products and stamping accessories we all love have and play with. 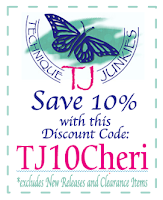 If you'd like to shop a little and would like a discount to the stamps and some of the products, here's my personal discount code for you, TJ10CHERI. Go shopping and have some fun creating with these wonderful stamps.